This, my friends, is what I call both interesting and delicious lemonade. In my last post I talked about making a mixed currant syrup for a salad vinaigrette. Well, I also used the syrup to make this beautiful and refreshing lemonade. Currants have a tart and intense flavor, but when broken down with sugar to make a syrup (or jam), it is sheer culinary delight. 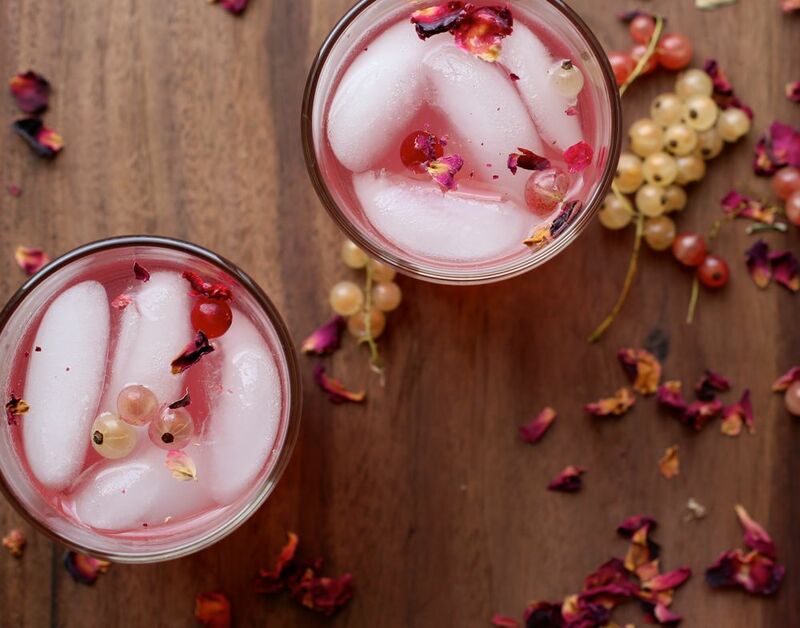 The addition of currant syrup alone already increased this lemonade’s interesting factor, but then I decided to throw in another twist—a splash of rosewater to finish. Subtle, simple, classic and elegant, words that came to mind as I sipped. 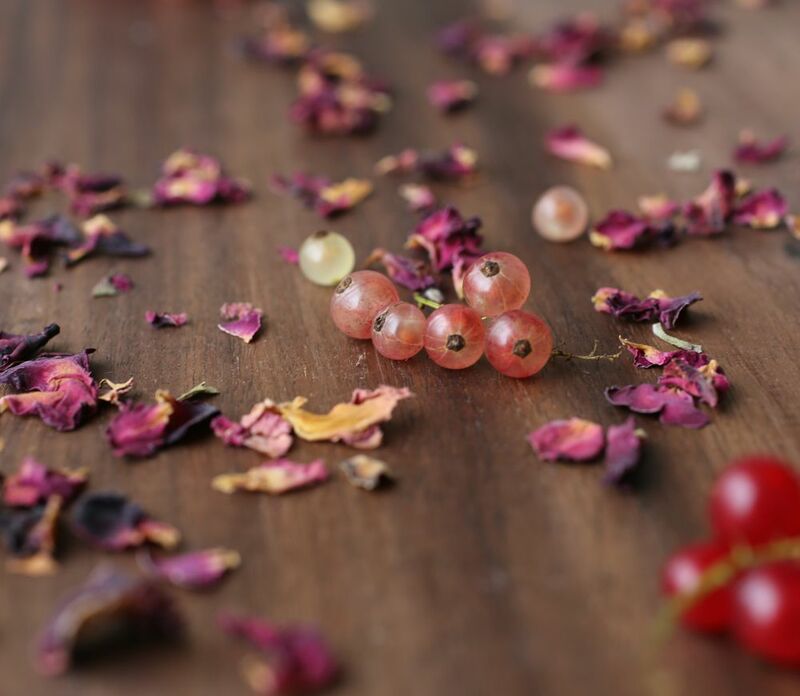 If you are lucky enough to find currants, the syrup can also be mixed with sparkling water for simple spritzers; use it to make sorbet; drizzle some syrup over fresh summer fruit, yogurt or pancakes. It’s been nice having currant syrup and jam on hand as I’ve been experimenting with it in a variety of ways. Have fun experimenting and let me know if you come up with anything interesting! First make a simple syrup. Heating water and sugar together allows all the sugar to dissolve first. In a small saucepan, combine sugar and 1 cup of water and bring to simmer. Stir to dissolve sugar then remove from heat. Allow to cool to room temperature. Pour the lemon juice and the simple syrup into a pitcher. Add 4 or more cups of cold water and taste. This is where it becomes a matter of personal preference. As you taste, add more water or lemon juice if you’d like. However, note that when you add ice, it will eventually melt and further dilute your pitcher of lemonade. Add currant syrup and stir. Then add just a tiny splash of rosewater. Note, with rosewater a little goes a long way. As its flavor can be quite dominant, start by adding just a little bit at a time, until it reaches your liking. 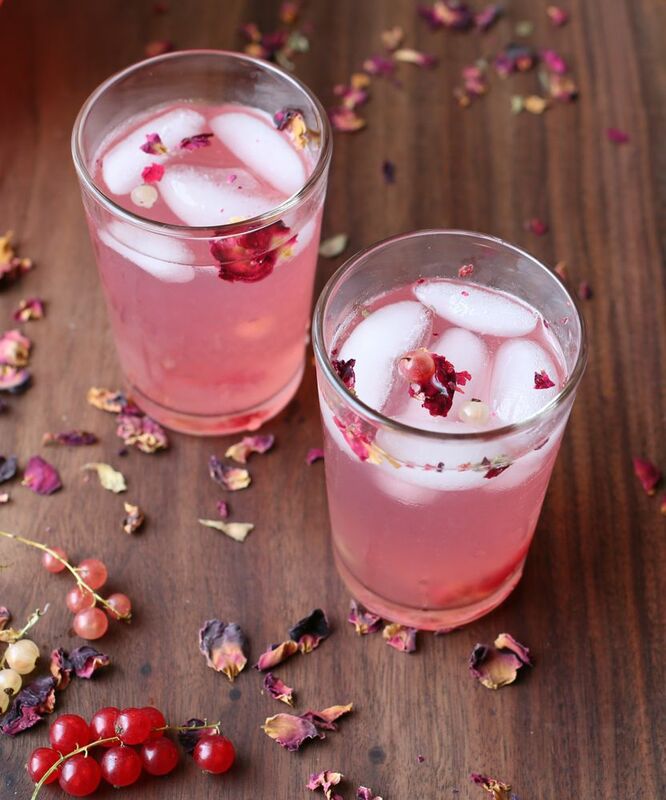 Optional garnish: Add fresh currants and rose petals. Finally, feel free to use sparkling water if you want a bit of bubbly lemonade. Loving the photography! Lovely recipe too – must try it out when summer rolls along! Hi Susan, thank you!! Would love to know if you try it when get to summertime in NZ! 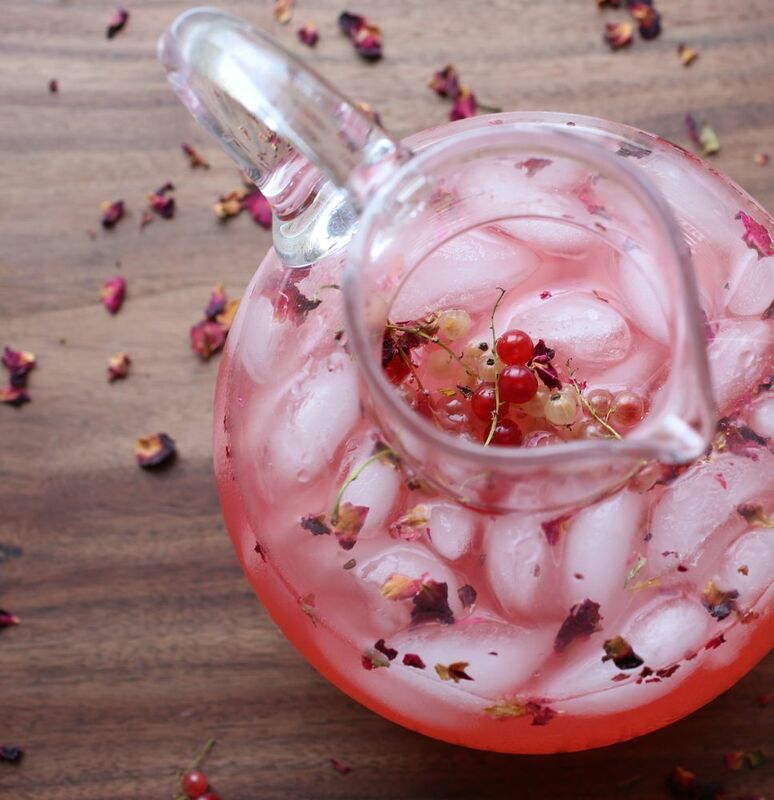 What a lovely and delicate lemonade! Usually I’ll see some red and occasionally some white currants but I haven’t seen pink currants before– they’re gorgeous! Thank you. A few weeks ago was my first time seeing them. Yes, they are gorgeous! I can’t get enough of them! Hi and thanks! I made currant jam as well, but I didn’t get a chance to post pictures yet. Thanks for the link. I tried a lavender lemonade with wine berries and mulberries. So refreshing! I hope to do a post soon on herb and fruit lemonades. So many great ways to combine them! Thanks again! What an awesome combo!! Looks so tasty and pretty, I need to make this, thank you for sharing. I just love your photos! Thank you so much! So glad you like this post and the photographs! I hope you like the lemonade too!